The issue of call to action is a very tenacious one as you can easily go off track by trying to do the right thing. I have witnessed a case where I had to turn down the opportunity of taking a call to action as the call to action button was just all in my face. It was very flashy, so flashy that I left the content of the message and started on the PowerPoint display before me. Despite all that, it is best that you use a very clear call to action. Always use buttons as against the use of links. You should place them at multiple places in your content but you should ensure that your call to action doesn’t overshadow your content or message. Links especially backlinks are very important to your website for a number of reasons. Besides the fact that they affect your SEO ranking, they also prove your website to be a trustworthy one with proper and valuable content. Not having a substantial amount of links is a mistake itself, one that you must avoid. There are lots of ways that you can use to get backlinks but the easiest of them is through social media. All you need to do is have a social media account and post the updates of your website on your timeline alongside the link to where the original post is located in your website. There are other means of getting backlinks like guest blogging, forums, etc but social media is the most preferred as it involves minimal cost. If you are still doing this then you do not deserve to be doing business in this age and time. Long gone when business was all about exchanging your product or service for money. This days, business is more about the relationship you build with your customers. With a strong customer support, you may not need to start any marketing campaign as your customers will market your business for you. Considering that customer support is essential for business, I wonder how you intend to support your customers when you didn’t provide any means by which you can be reached. You can make a change by creating avenues by which they can reach you. Do not just stop there, you can go further by indicating the times and days that you can be reached using these means. If you can, you can provide other automated means of support such as chatbots, FAQ and so on. There are a lot of mistakes, some are inherent in some of the points I stated above. Some mistakes were not categorically stated such as poor page loading speed, image optimization, poor site navigation and a host of others. 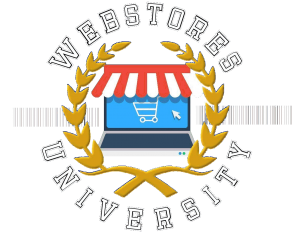 Those are besides the mistakes of not having the necessary ecommerce tools such as multiple payment options, easy checkout, etc. However, avoiding the mistakes stated in this article will revive your website and give you a headstart to build on as you try to stay in the competition. Guest blog by: Junaid Ali Qureshi, an ecommerce entrepreneur with a passion for tech and marketing. Some of his current ventures include Elabelz.com, Progos Tech, Titan Tech and Smart Marketing. ← Take Charge of Your Website!